Our aim is to make the world of diamonds accessible to as many customers as possible through seriousness and professionalism but also through clarity and simplicity. This is why we decided to avoid using too many “big words” and long pages describing strategy plans, reports and graphics and to simply focus on examples and - above of all - on facts. We have been working in the diamonds sector for many years, building very close relationships with the best manufacturers and wholesalers worldwide. It is thanks to such relationships that we can offer a wide range of top quality diamonds both for INVESTMENT PURPOSES and for PERSONAL USE at very competitive prices according to the Rapaport data (international price list of the Diamond stock market). 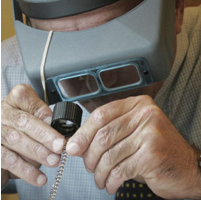 All our stones are sealed up in single blisters and certified by internationally recognised gemmological institutes. We offer advice, consultancy and support from the very first contact, always with the aim of building solid, reliable and long-term relationships while guaranteeing the utmost confidentiality as well as disinvestment and realisation of the diamonds, which we purchase directly. We are also interested in buying your diamonds, or we can simply estimate them or have them certified.